Editor’s note: A couple of days ago I announced that Sotheby’s would be auctioning 44 watches from the collection of the late great Robin Williams. And from the response it received — and in my own observations — it seems that a few of the estimates were a little modest. So just how much is the celeb factor worth? I thought I’d take us back to this one by our own numbers man, Mr Daniel Senia. And help shed some more light on the subject. One final note: We ran this story just before Russell Crowe’s ‘Art of Divorce’ auction. Here’s how his watches performed. The power of ‘celebrity’ is not a new concept. As far back as the ancient pharaohs, celebrities have been put on a pedestal (sometimes literally) and we’ve obsessed into the lives of the powerful, the wealthy and the beautiful. These days, technology puts the beautiful people at our fingertips, and this all-access, always-on, microscope into famous lives continues to fuel the celebrity fire. And that desire for fame through association is at its strongest when it comes to celebrity-owned objects. Tonight, Russell Crowe will auction off a collection of movie memorabilia, jewellery and watches at Sotheby’s in Sydney as part of his ‘Art of Divorce’ garage sale (2001 Mercedes Benz, anyone?). Watches on offer range from an Armani quartz watch (estimate $500-$1000) to a late ’90s yellow gold Rolex Daytona – at well over $40,000. It will be interesting to see how Rusty’s celebrity impacts the sale of his 29 timepieces. In light of this auction, we thought it would be fitting to look at other famous watches that have gone under the hammer, just to see how much of a difference a famous provenance makes. Note, prices are all estimates based on available RRPs at the time of manufacture. All prices are in USD for comparative purposes. Currency fluctuations are based on the ‘real’ value of the USD rate at the time of writing, though actuals may vary. In June 2013, Antiquorum auctioned a pocket watch belonging to the late-great James Dean in Hong Kong at its ‘Important Modern & Vintage Timepieces’ event. The pocket watch was a Standard USA with American-made Elgin movement, circa 1889. Estimated to sell for $5000 USD, the watch eventually went for $42,000. Today, you can buy similar vintage Elgin movement pocket watches from the period at around $750 USD. That’s a whopping 5880% celebrity mark-up. 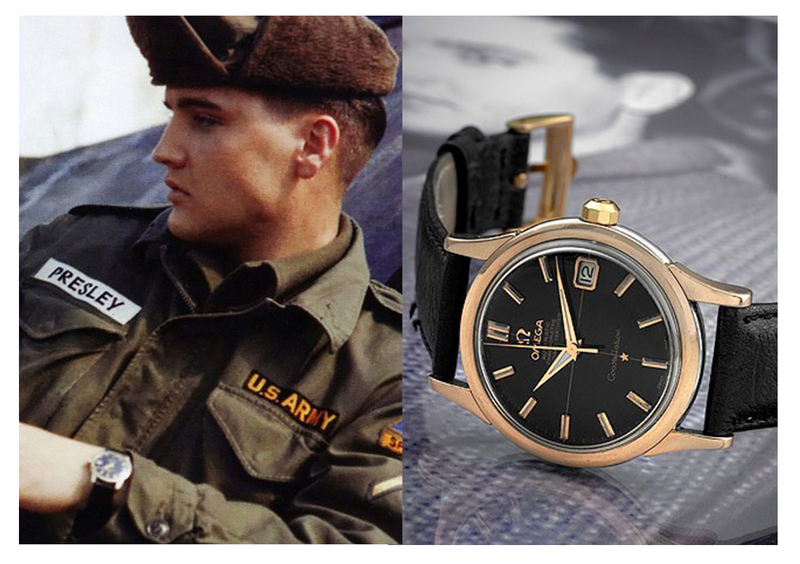 In 2012, Antiquorum in New York sold at auction a rare black-dialled Omega Constellation Calendar, produced in the early 1960s, that once belonged to Elvis Presley. Estimated to sell for somewhere between $10,000 and $20,000 USD, the watch eventually sold for $52,500. Granted the black dial is a rarity, similar Constellation Calendars can be bought today for around $6300 USD. It’s not a bad premium for a watch once owned by the King. Image: Robert Knudsen. White House Photographs, Omega Museum. 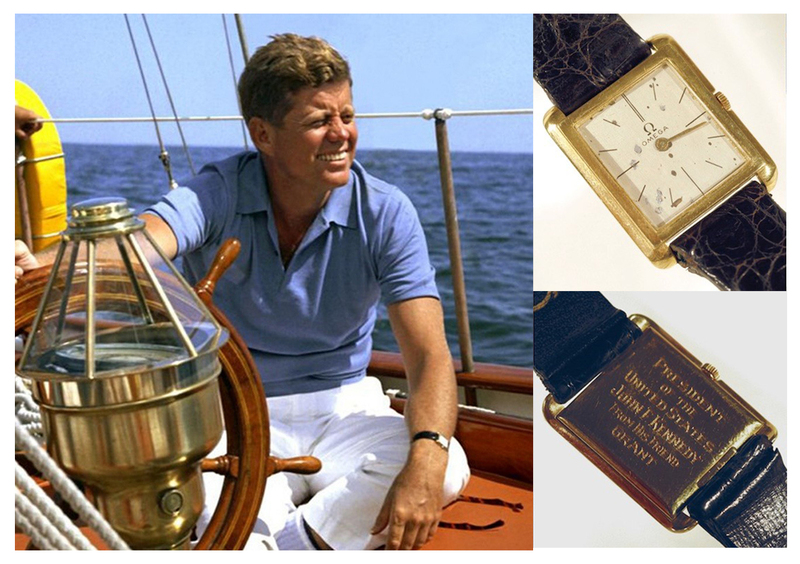 A tiny but important piece of political and horological history, JFK’s Omega Ultra Thin was gifted to him by a friend, Grant Stockdale, who inscribed the case-back with: “President of the United States John F. Kennedy from his friend Grant”. The watch, worn at the inauguration ceremony when JFK took office in 1961, was purchased by the Omega Museum in Switzerland in 2005 at auction for $420,000 USD. While near impossible to find today, it was a healthy premium for Omega to pay at 36,522% over RRP. James Bond has long been associated with luxury, be it fashion, automotive or watches. 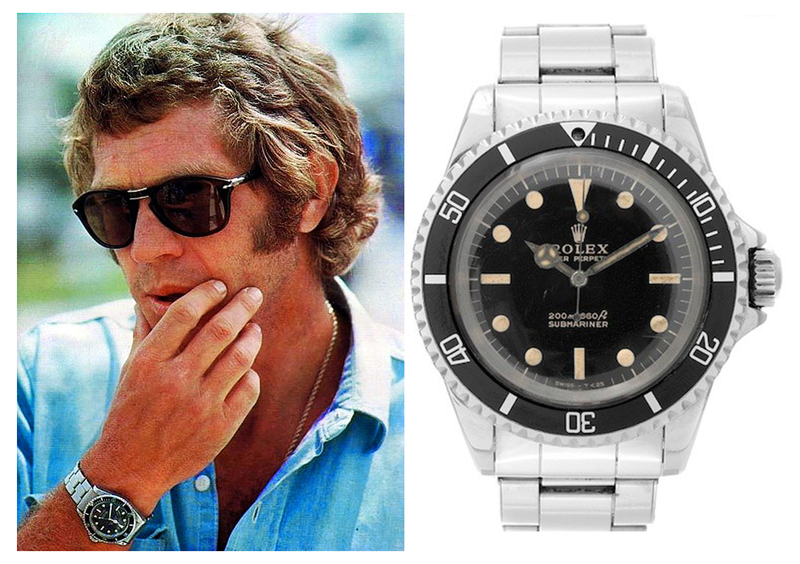 Many Bond watches have been sold at auction (including the watch worn by George Lazenby in the 1969 film On Her Majesty’s Secret Service, which sold for $41,000 USD in 2003, and the Rolex Submariner worn by Roger Moore in 1973’s Live and Let Die, which sold for $196,056 USD in 2011 and again in 2015 for $382,000). 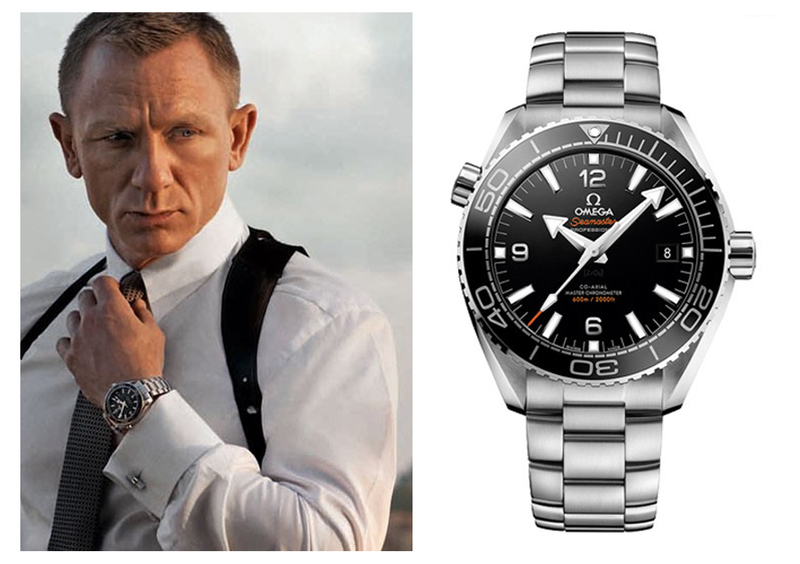 The latest Bond is no exception to the fascination with owning a Bond watch, with the Omega Seamaster Planet Ocean worn in the 2012 movie Skyfall selling at a Christie’s auction in London the same year for $254,273 USD. If you’d prefer to have a watch like Bond (as opposed to worn by Bond), you can pick one up at a local second-hand dealer or online for around $4500 USD. 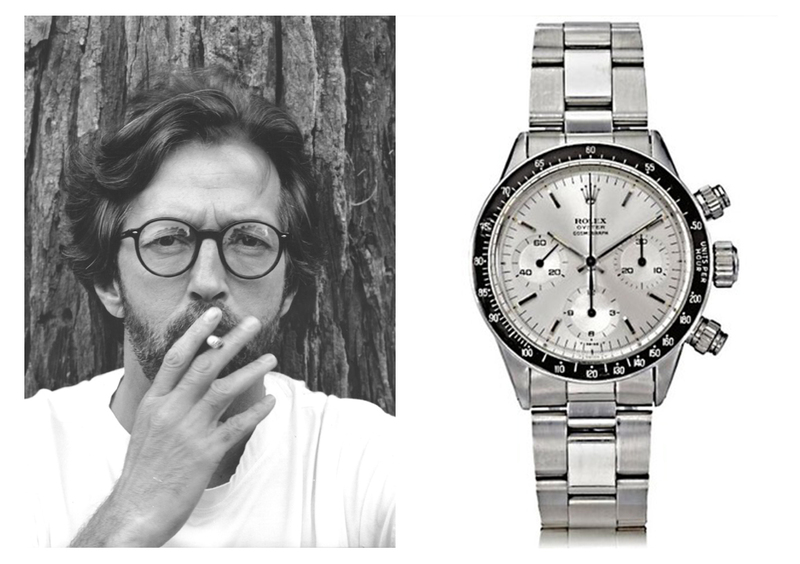 One of the world’s most well-known collectors, Eric Clapton is clearly not shy to put his hand in his pocket for a watch he wants. Whether it be fortuitous or calculated, Eric’s watches at auction attract a hefty premium, both for their celebrity endorsement, but also the rarity of the pieces. In 2012 at a Christie’s auction in Geneva, an extremely rare Patek Philippe ref 2499/100 was sold from Eric Clapton’s personal collection for an astounding $3,635,808 USD. The watch is one of only two ever produced, manufactured in 1987 for Mr Stern personally. Clapton himself purchased the watch in 1989 for an at-the-time hefty $253,300 USD (half a million or so at today’s value), which equates to a premium shared by the rock star and the watch itself of 776%. Synonymous with the Heuer Monaco made famous in his 1971 film Le Mans, Steve McQueen has a long history with the watch industry. Having been re-released several times over the years by TAG Heuer, the ‘McQueen Monaco’ is on the checklist of most serious collectors. Steve’s own Monaco, worn in the film, was sold at auction in 2012 for $799,500 USD – not bad for a watch that in 1970 retailed for around $220 USD. If you consider a vintage Heuer Monaco will set you back around $12,400 USD, that’s a celebrity premium of about 6,899%. A little less well known is the auction of McQueen’s Rolex Submariner 5512, which sold at auction in 2009 for $234,000 USD. That’s a celebrity premium of about 2223% — a much better deal! 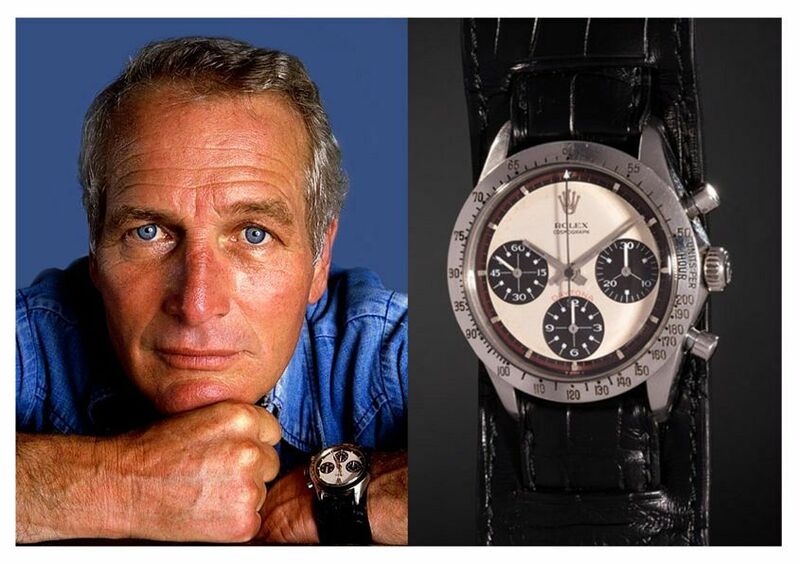 The holy grail of celebrity-owned watches, and much written about over the past six months, is the Paul Newman-owned ‘Paul Newman’ Daytona Ref 6239, which sold at auction late last year for an astonishing $17,750,000 USD to an unknown purchaser. The watch not only shattered previous Rolex sales records but also became the highest price paid for a wristwatch. Ever. Much debated for its value, a similar Paul Newman Daytona can be found for about $100,000 USD (though I’d argue this is going to jump now) – making not just the price but the celebrity premium paid a gargantuan 17,750% on today’s replacement cost and somewhere in the vicinity of 688,390% on its original purchase price! 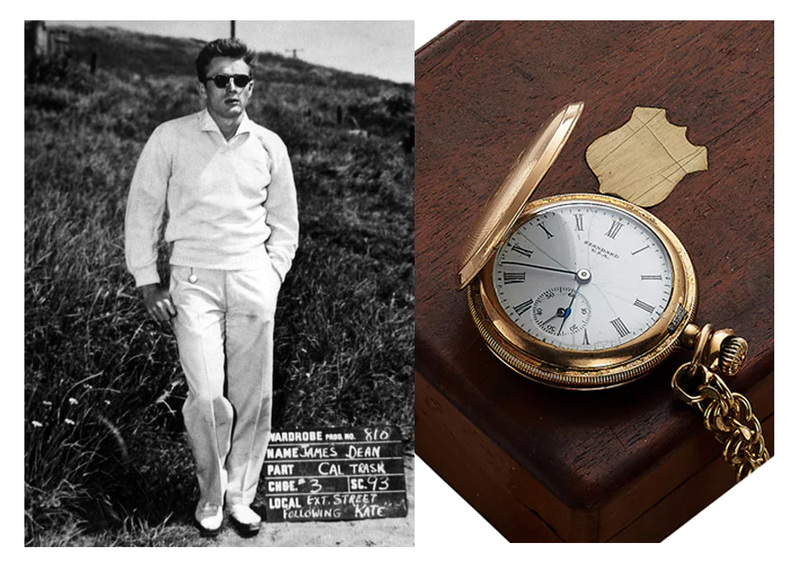 Not all celebrity watches sold at auction attract a premium as great as the McQueen and Newman watches. Some actually take a hit on retail value, begging the question: Is it enough for a celebrity to be associated with a watch sold at auction, or do they actually have to have owned and worn them? In 1999, Antiquorum and Tourneau held a celebrity charity watch auction in New York called ‘Famous Faces, Watch Auction For Charity’, with watches being donated by celebrities, often jointly with the brands they were selling. 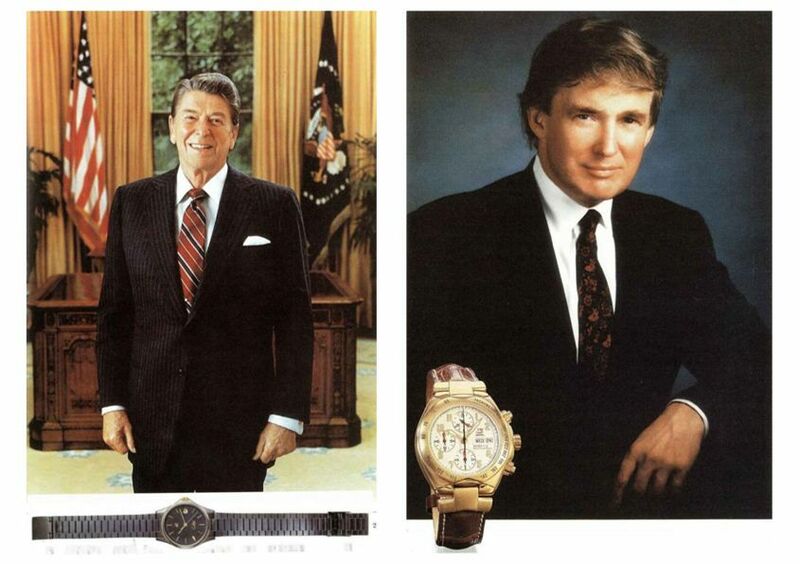 While there were a few notable exceptions (Donald Trump buying Ronald Reagan’s Colibri of London Quartz for $7000 USD), the event was underwhelming to say the least, with Trump’s own Universal Genève ‘Senna’ being sold for a lacklustre 51% of retail value. Other sales at the auction included a George Clooney-donated Franck Muller ‘Casablanca’ (selling for $7000 USD), a Tom Hanks-donated Cartier ‘Tank Américaine’ (selling for $8000 USD), and a Jerry Seinfeld-donated yellow gold Breitling Chronomat (selling for $11,000 USD). The prize of the night, however, was the sale of a Paul Newman-owned and inscribed Rolex Daytona 16520, selling for $39,000 USD — which now seems a pittance, in the context of the latest Newman Rolex Daytona sale.